Nearly 130,000 undocumented Afghan refugees have been forced by the Iranian government to go home this year, heading to an uncertain future with the resurgent Taliban now holding more than 40 percent rural territory in Afghanistan. Hundreds more are ousted each day from Iran, in line with Iran’s target of sending 600,000 back to Afghanistan by the end of the year. Kabul says the unprecedented influx of returnees has strained post-arrival services by the government and refugee agencies, especially with Pakistan also sending Afghan refugees home. The swelling numbers of deportees from Iran and high unemployment in Afghanistan lead to concerns that some of young returnees may join the Taliban or other militant groups. The large influx may also fuel a rising crime rate in a country already shaky from terror attacks and a high death rate among the security forces. 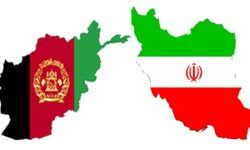 More than two million Afghans live in Iran, according to Afghan government estimates. Most settled there after fleeing war and conflict in their homeland. About 950,000 are classified as refugees. According to Miakhel, Iran has closed the main Islam Qala border crossing for the past few months for unspecified reasons, and refugees are returning through alternative border crossings, which lack facilities to accommodate high numbers. As a result, more than 2,000 people crowd each day through Nirmorz’s Malik border crossing, “which cannot accommodate more than 1,000 people a day,” Miakhel said. In November 2012, Iran issued regulations allowing police and custom authorities to expel about 1.6 million undocumented foreigners by the end of 2015. Since then, hundreds of thousands of Afghans have returned or deported from Iran. The International Organization for Migration (IOM) said the number of undocumented returnees from Iran since New Year’s Day was 127,935 through May 13. While many Afghans have been allowed to go to Iran for jobs that Iranians don’t want, pressure has been rising for most to be sent home. While there, they lack basic rights and access to economic opportunities. Rights groups have accused the Iranian government of maltreating them. Some refugees claim arrests for no reason, particularly in Tehran. Police counter that most arrests are for involvement in the drug trade. Iran has sent thousands of Shi’ite Afghan refugees to Syria to fight alongside forces of the Lebanese militant group Hezbollah and Iran’s elite Revolutionary Guard forces in support of the government of Syrian President Bashar al-Assad. Iran’s army recruits them with promises of Iranian citizenship and improved living standards for their families. Iranian President Hassan Rouhani last year promised the Chief Executive of Afghanistan Abdullah Abdullah to offer legal status to Afghan refugees instead of expelling them. But according spokesperson Miakhel, Tehran has not yet executed a Memorandum of Understanding signed between the two countries two years ago.